Peter Nietzke and Elisabeth Blum, both architects and authors of the publication FavelaMetropolis, delivered an optimistic story about Brazilian slums like Copacabana and Favela-Bairro. It wasnt that they were positive about life in the slum, which is perhaps the ultimate symbol of unequal metropolitan development. Rather, their story dwelled on the selfless work of architects to improve life in the slums. 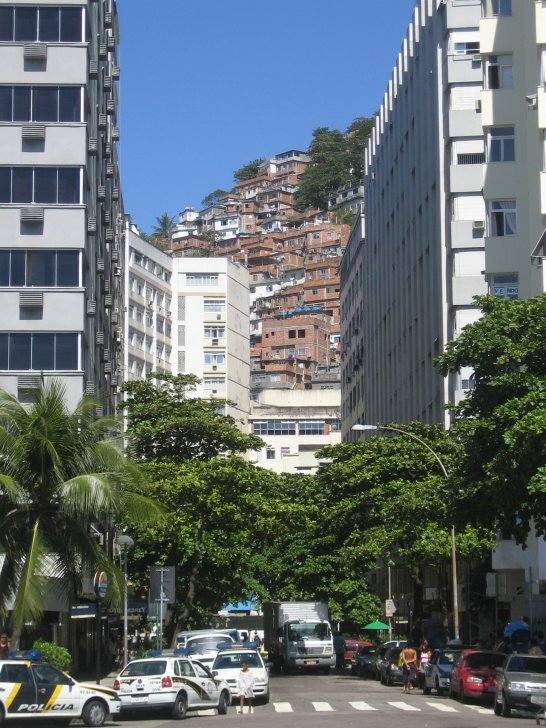 There is, for instance, the official programme to integrate Favela-Barrio (Rio de Janeiro) with surrounding, more affluent neighbourhoods by establishing public amenities at strategic locations so that people from different backgrounds and classes mix with one another in a quasi-natural way. Nietzke and Blum also see the legalisation of land ownership in the slums as a positive step because slum residents can at last act as owners of their property. They voiced their distaste for Mike Daviss criticism of the self-help programmes with which global institutions like the World Bank appease poor countries. In addition, they expressed their admiration for economist Hernando De Sotos appeal to integrate the informal economy of the south in the global economy of the north. Waves of idealism and market fatalism succeed one another in rapid tempo in urban development. The question which cities we want  and therefore which people we want to be  can only be answered by reconsidering the most important problem of historical capitalism: the capital surplus disposal problem. To make profit work at the end of the day, the capitalist, explained Harvey, has to reinvest and make even more money. To this end, it is important to have access to a disciplined workforce (preferably not organised), to sources (through colonisation if necessary), to markets (through the creation of a demand or the permitting of credits) and to relative monopolies (in order to defeat competitors). then urban development  in the slums too  is doomed to be just a cog in this machine. And, if thats the case then it could just be that architects maintain the system of inequality despite all their good intentions.